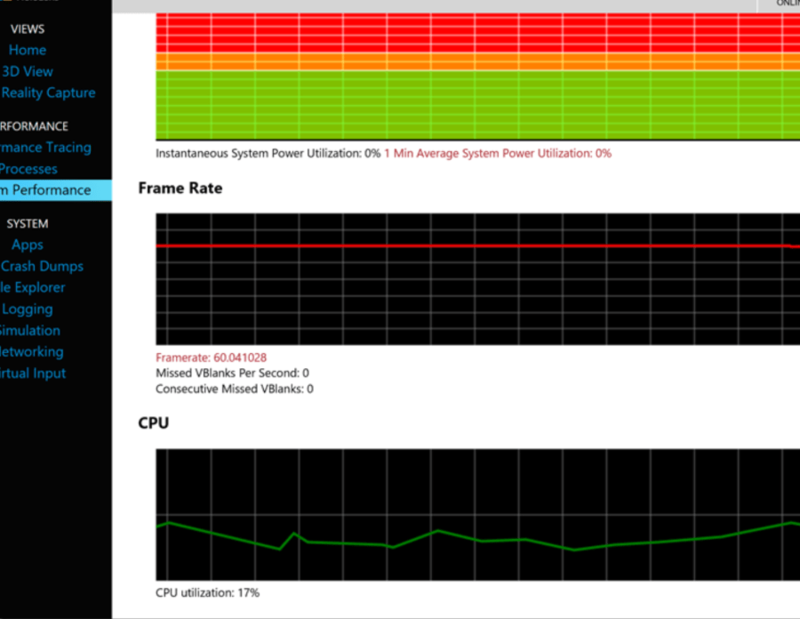 Since composing the last post: HoloLens–The Path to 60fps I have carried out some more work on HoloLens apps with an important requirement for as high quality rendering as possible but of course the goal is always to maintain 60 frames per second. 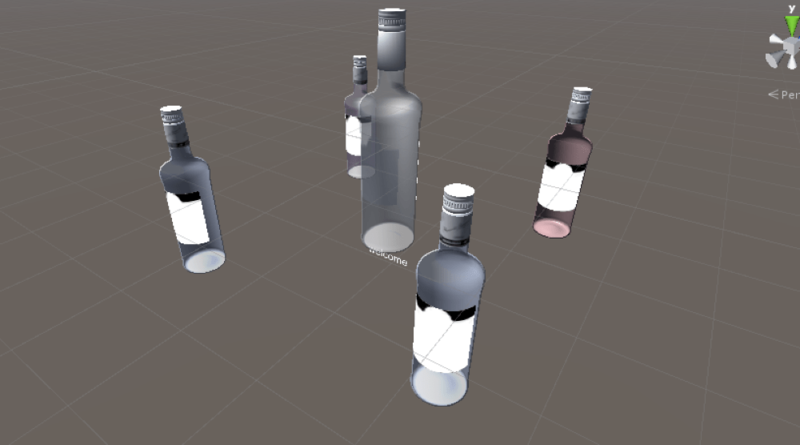 This time around we were looking to render glass containers with associated labelling which needed to be clear and legible and the glass should look as realistic as possible in the available time. As with a lot of project scenarios we don’t always have a greenfield where models and textures, etc. can be created from scratch; often the assets will already exist but not necessarily in a form we can instantly consume easily on a HoloLens. 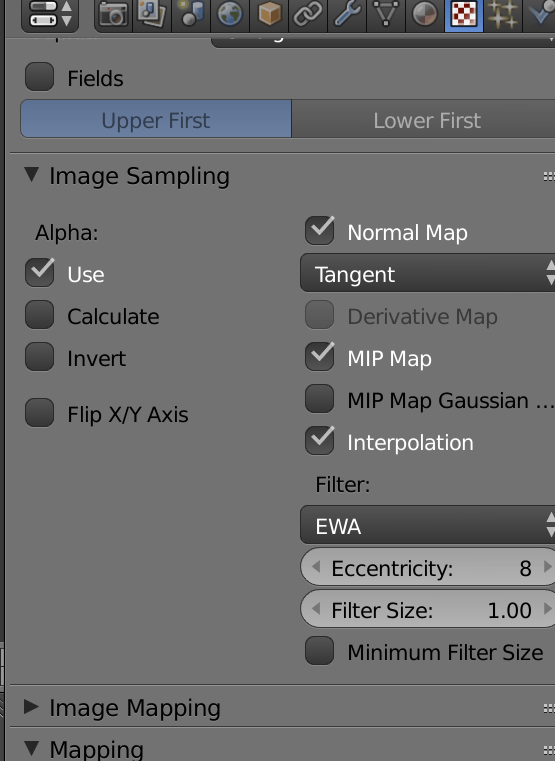 In this case there were pre-existing assets that were highly dense in terms of faces and vertices and also somewhat wasteful in terms of topology with geometry inside other geometry. 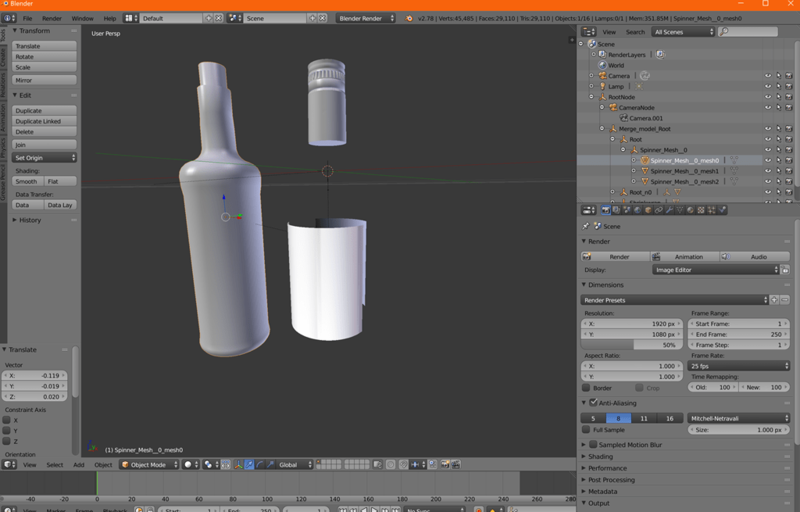 These assets were used for high-quality renders of products for marketing materials so performance was not a consideration at all. To give a feel for the details, one glass container consisted of nearly one million polygons including embossed writing on the glass constructed of triangles. 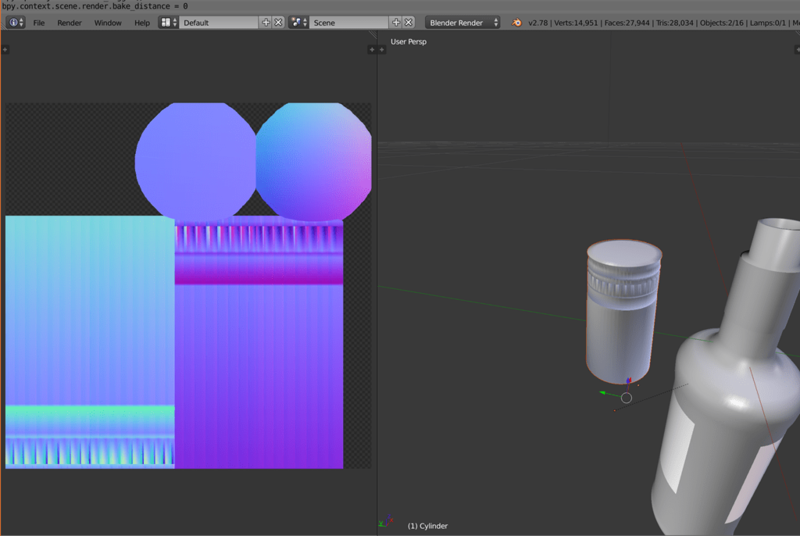 Check out the underside of the bottle – this is all polygons! At the outset we used the HoloLens device portal to record a baseline for the performance – this turned out to run at below 20fps for one container – we hoped to be able to create a series of containers in the final experience so clearly this needed improvement. We replaced all of the existing shaders which came across from the initial FBX files as standard Unity shaders with optimized shaders from the HoloToolkit for Unity. 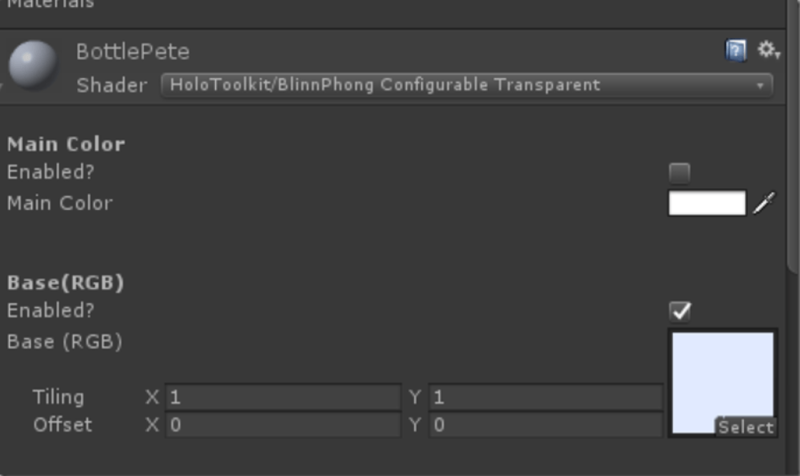 We used the BlinnPhong Configurable Transparent shader so we could have specular highlights and could also experiment with the opacity of the glass. 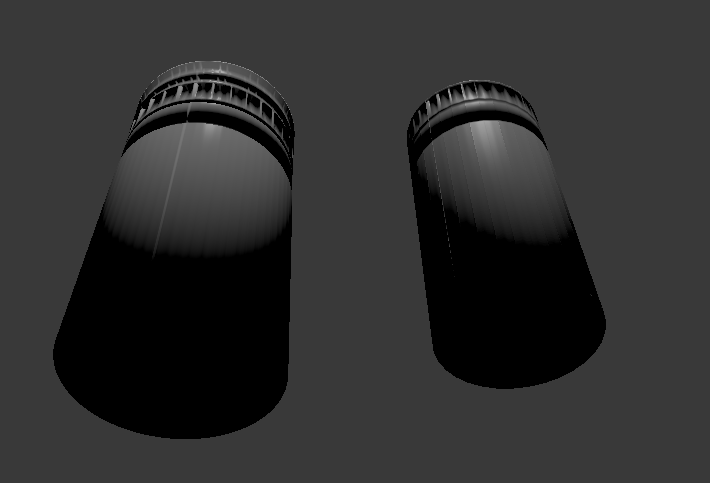 Let’s see how we can apply a normal map to a cylinder in Blender to create a low polygon model of the cap shown in the screenshot above. 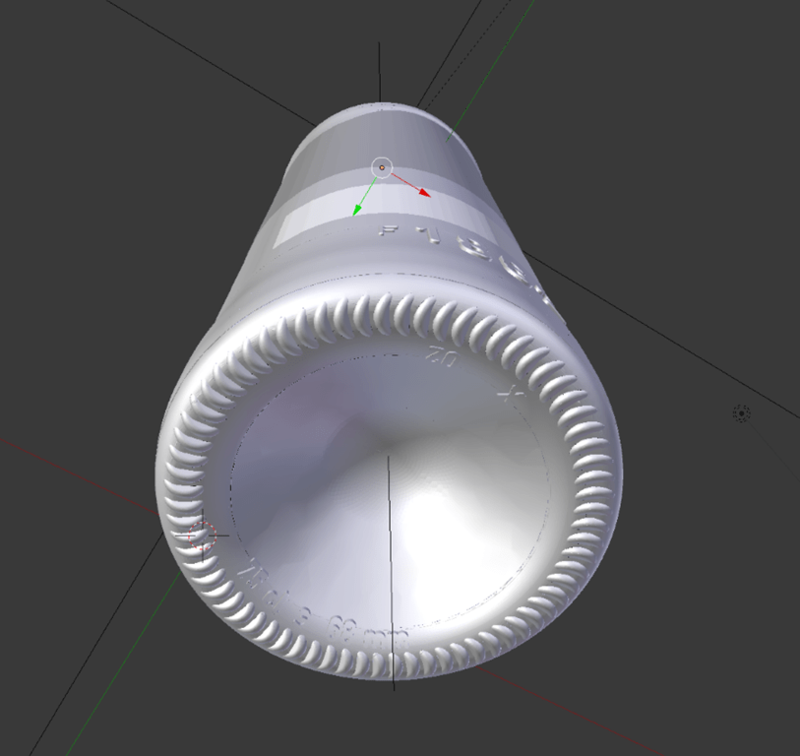 The cap itself has approximately 28k triangles. 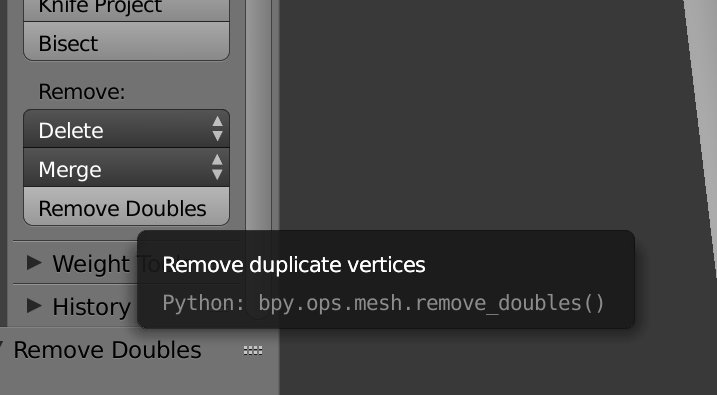 The mesh we are starting with here is not particularly ‘clean’ so I first ran a tool in Blender to remove duplicate vertices called Remove Doubles. 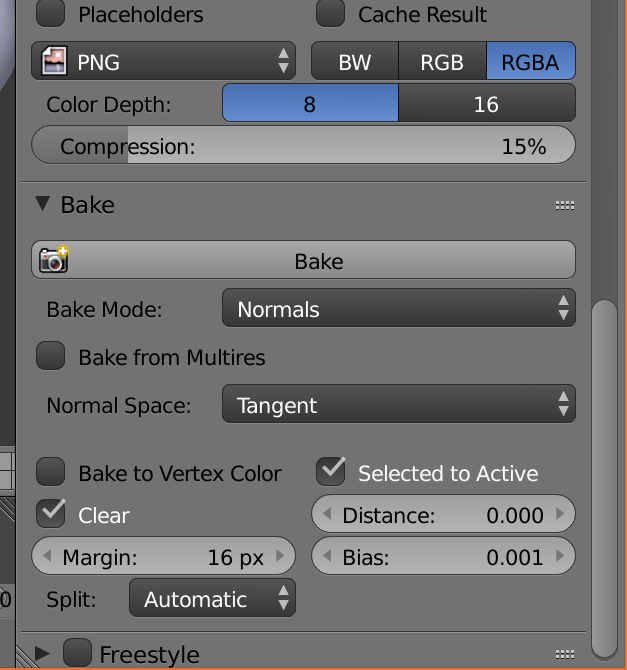 This should give the result shown below – note the normal map with shading which reflects the details in the high definition cap. 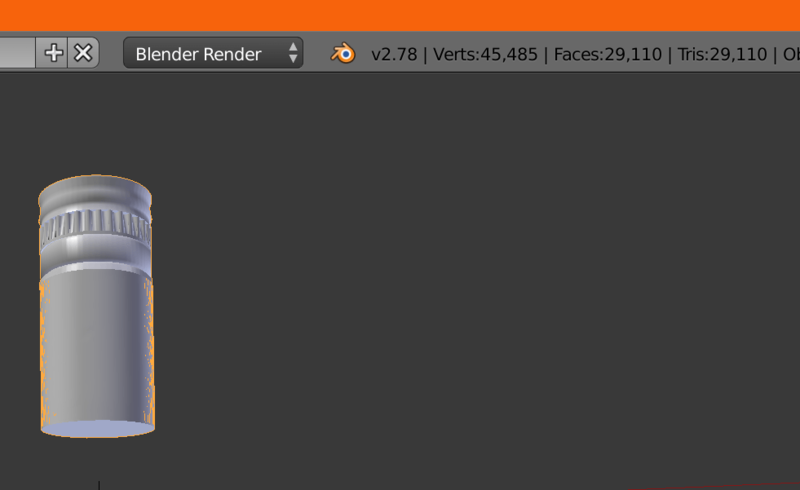 – Set preview render mode to material (so we can see the effect of our changes). This shows the caps side by side and our new cap is down to approximately 100 triangles and also responds as expected to dynamic lighting changes. So you can see this is a useful technique to use when detailed models are required but the cost of processing a large number of vertices is prohibitive such as on HoloLens. We can apply this technique to the bottle as a whole and retain the embossing on the surface of the glass.